JIS-7 Standards for waterproofing to 3' for 30 minutes continuously. An alkaline battery tray and a large 750mAh NiCad is standard equipment with the HX260S . 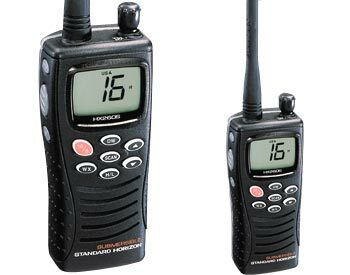 The HX260S has all U.S., International and Canadian Channels plus one button access to weather channels including NOAA weather alerts as well as channels 9 and 16. User programmable scanning allows the user to scan any number or combination of channels. In addition the HX260S features Dual Watch allowing the user to prioritize 16 while monitoring an additional channel.